Bergen is known as the ‘Gateway to the Fjords’, yet there is still plenty to explore within the city itself. The brightly painted gabled houses and narrow cobble-stoned alleyways of the famous Bryggen Wharf, a UNESCO World Heritage Site, surround the bustling Vågen inner harbour. Bergen also has UNESCO ‘City of Gastronomy’ status thanks to its varied and vibrant food scene. The Bryggen harbour is also home to the city’s thriving flower, fish and fruit markets and historical museums. Visitors can benefit from purchasing the Bergen Card, which provides an excellent value way to explore the city and the nearby surroundings. Enjoy Bergen as a single-centre or city break with holidays available from 3 nights to 14 nights. The Bergen city card is an excellent choice to make the most of time in this city, which offers a wealth of cultural attractions and sightseeing opportunities. You can also visit Bergen as part of our escorted 4-centre Highlights of the Fjords group tour or one of our independent multi-centre holidays, Fjord Explorer, or Taste of Norway. A friendly family-run hotel, beautifully decorated with a welcoming atmosphere and many special touches. Centrally situated in the shopping and harbour area close to all the main attractions. In an enviable, harbour front location, convenient for Bergen’s main attractions, this elegant hotel offers good facilities and spacious, comfortable rooms. Our newest escorted tour takes in three of Norway’s cities as well as the picturesque Hardangerfjord and the famous ‘Bergen Railway’, often described as one of the world’s most beautiful train journeys. Enjoy the best of the Norwegian fjord’s glorious and diverse scenery in this 4-centre group tour, escorted by an Inghams guide throughout. 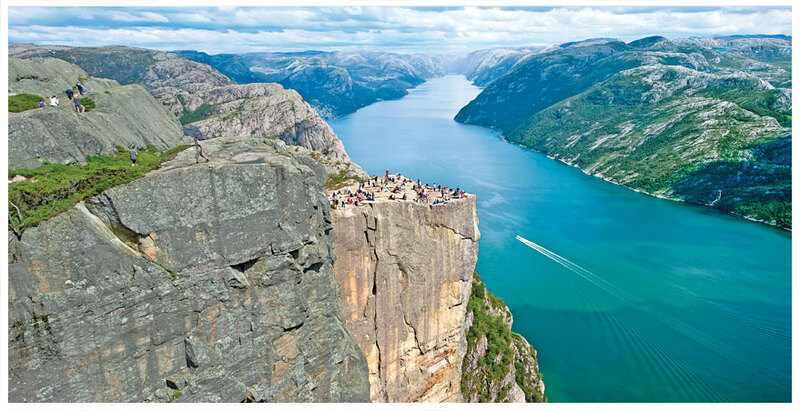 Designed as an excellent introduction to Norway for those wishing to see the spectacular fjords, mountains, glaciers and lakes in four contrasting destinations. 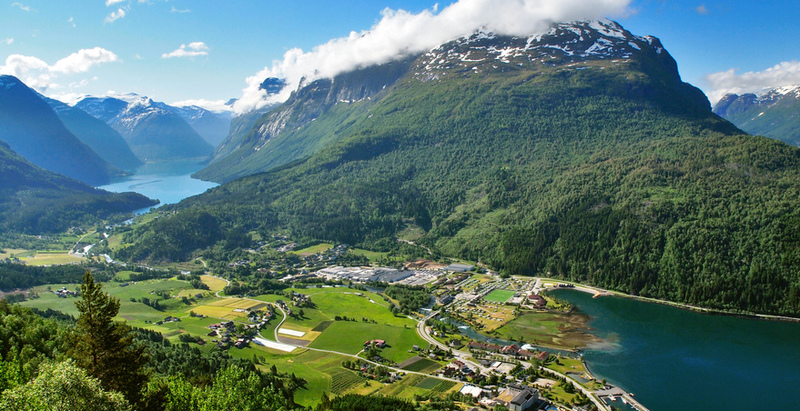 A highly recommended combination encompassing the best scenery the Fjord Norway region has to offer – starting in the fjordside village of Balestrand on the mighty Sognefjord, you will have an opportunity to travel on the famous Flåm railway or visit Fjaerland with its Glacier Museum. From here, your included transfer will take you over the magical Gauler Mountains to Loen on the Nordfjord with its spectacular glacier and sparkling lakes. Ideal as a taste of this beautiful country for those wishing to explore independently. Starting in Bergen, you’ll have time to explore this vibrant city known as the ‘Gateway of the Fjords’, before transferring by scenic express boat to the serene fjordside village of Balestrand on the Sognefjord, before returning to Bergen for your flight home. The small, authentic city of Stavanger is home to the Lysefjord, the impressive Pulpit Rock and some of southern Norway’s best walking terrain, whilst vibrant Bergen with its historic colourful Bryggen Wharf and Fløiban funicular is a must for most visitors to the fjords. Transfer Approx. 30mins by coach. Panoramic views over Bergen and its coastal islands with several good walking opportunities (half price with Bergen Card). A fabulous circuit by train and bus via Voss including the famous Flåm mountain railway and scenic Aurlandfjord boat cruise. Majestic mountains, roaring waterfalls and idyllic fruit farms. Book locally. Prices for guidance only. For panoramic views over the city take the funicular to the top of Mt. Fløyen. Concerts and cultural attractions abound for those on Bergen holidays, including a visit to the home of Norway's most renowned composer Edvard Grieg. In addition to city sight-seeing tours, efficient high speed express boats and trains open up a wide variety of day trips into the heart of the fjords, including the magnificent Sognefjord and Flåm Railway or Norway in a Nutshell.